In brief: The pasta is always fresh at Via Emilia. 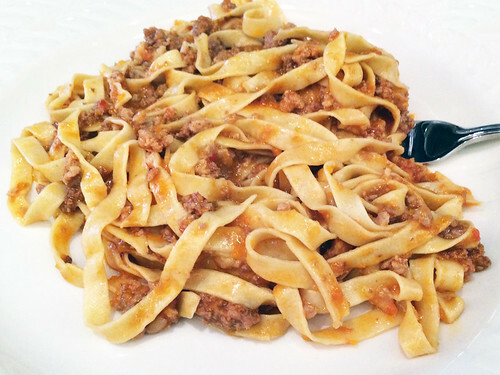 I was already looking forward to a piping hot plate of tagliatelle al ragu at Via Emilia when I left the office to go to the dentist to get stitches taken out. It was every bit as hot and tasty as I imagined it would be.